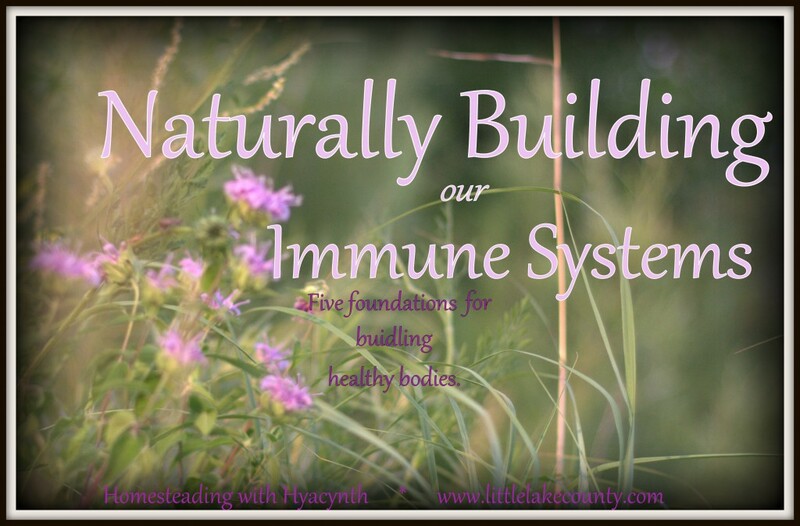 We've got immune systems to build. And we've gotta get started before summer fades to cold and flu season and kiddos are coming home from school and hacking all over the place. Here's the good news about strengthening the immune system; likely, if you've been enjoying the heck out of summer -- out in the sun, inhaling the local in season fruits and veggies and indulging in some nice relaxation times -- you're well on your way to doing good battle with the approaching cold and flu season. My favorite doctor once told me something priceless: We don't have to be afraid of the bugs and germs and toxins that come our way; we simply have to help our bodies become stronger than the offenders. Now that's encouragement to take make these foundations of health priority! But let's have realistic expectations, too. Sometimes we do get sick because life doesn't always allow us to operate on our A games. And that's ok! Do what you can without stressing about doing it all perfectly. We moms need to be well! I would argue that medical professionals like Dr. Lissa Rankin are onto something when she names chronic stress and the stinkin' thinkin' that often accompanies it as a huge contributor to illness and disease. I'm not a doctor. Just a mom with the experience of two kids and myriad illnesses who has sat at the feet of some amazing holistic practitioners in the area and has healed from some pretty petty things and some pretty gnarly chronic things while focusing on the foundations of a healthy lifestyle. One more thing: there's no one magic pill we can swallow. Our bodies were created to need these foundations, working in tandem. Omit one and the balance wavers.